During summer time, I would die for an ice cold treat. Having spent my entire summer budget for ice cream last month, I have now challenged myself to create many ice pop recipe. 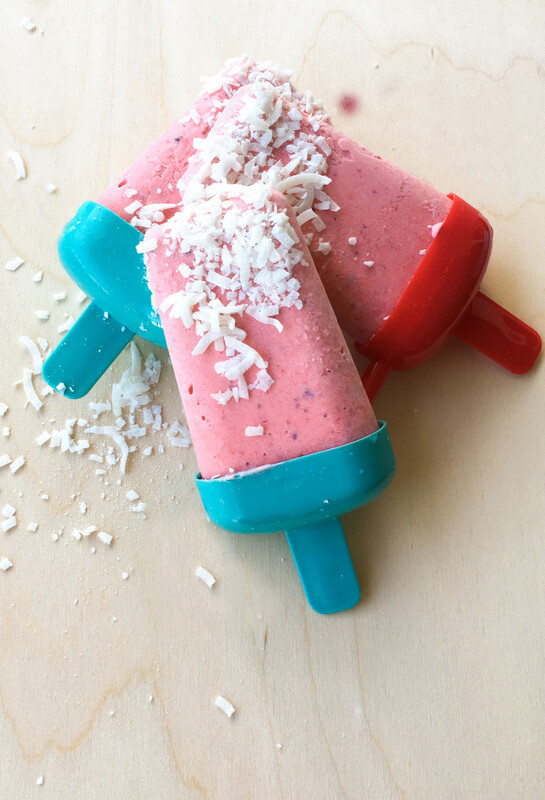 You will enjoy these vegan ice pops if you love strawberry, mint, lime and coconut. So here is my recipe of vegan strawberry, lime, mint and coconut ice pop #Haha #IBarelyRepeatedMyself! In a food processor, add all the ingredients for the “ice pop and mix until well combined. Pour the batter into an ice pop container and freeze for 4 hours or until the ice pops are frozen. Take the ice pop out of the freezer and then hold your mold under warm running water for about a minute. You can now gently pull out the ice pop. Sprinkle the grated coconut onto the ice pop and serve! To separate the cream from the coconut milk, you must place a can of coconut milk in the fridge for 8 hours. Gently take the can out of the fridge and open the lid. You can now discard the coconut water and keep the cream for your recipe!